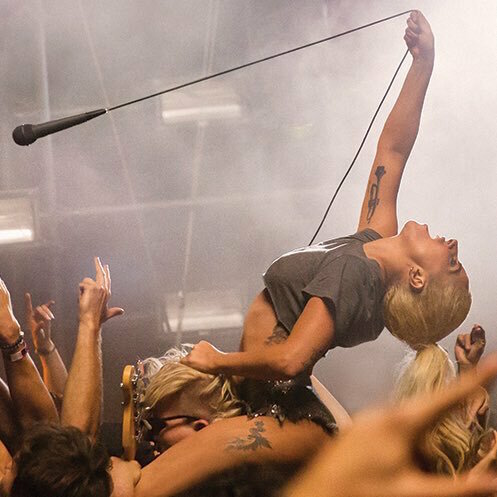 Lady Gaga has released her latest music video for track "Perfect Illusion!" In the video for the 80s-infused, upbeat track, Gaga delivers upbeat performances on the mic in front of a high energy crowd, dancing and rocking out! I love seeing Gaga with a simpler look and treatment like she had in this video, too. The track is the singer's lead single off of her upcoming fifth album, Joanne, though it didn't have the strongest debut of an artist of her caliber, starting off at no. 15 on the Billboard charts. I really like the song, though!